Imagine returning home from a long day and having exactly your type of TV show or film ready and waiting for you to unwind and enjoy. The future of television is here – no more running home to tune in at 8PM sharp for your favourite programme. 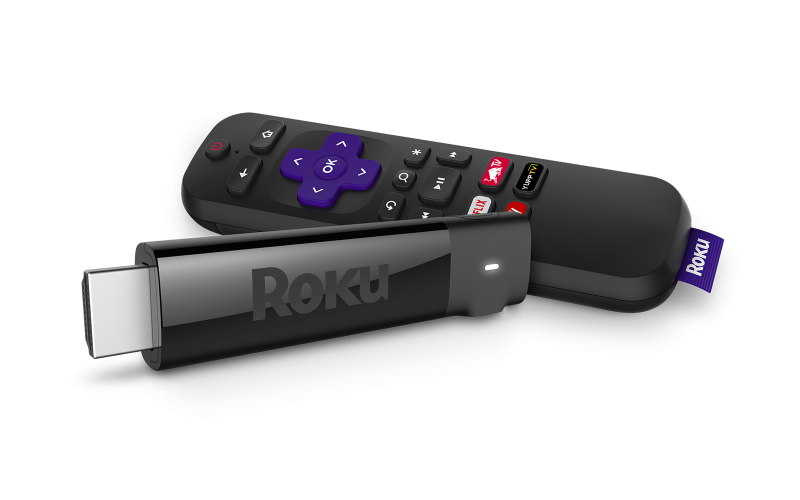 The Roku Streaming Stick+ gives you the freedom to watch TV on your own terms. Watch what you love, personalise your home screen to show the channels you prefer and stream your favourite TV, live or on demand. The Roku streaming devices have the largest selection of channels, providing diverse content that fits everyone’s needs and wants. It’s your morning yoga routine. The perfect dance party playlist. The best brunch recipe, a celebration of your faith or learning a language, there’s something for everyone. Even your dog has a channel. Boasting a critically acclaimed operating system, Roku platform is built around simplicity. The Roku app will synchronise automatically with your TV for easier browsing. No techy language, no countless cords and lengthy manuals – simply plug in and let your Roku device do the job for you. You can sit back and tell your voice-controlled remote to pick up Coronation Street where you last left off. Is the thought of Christmas shopping stressing you out? The Roku Streaming Stick+ has a little brother. Retailing for only £29.99, Roku Express makes gifting easy and affordable, and it’s the perfect way to introduce streaming to your friends and family. The gift of catered entertainment that suits everyone’s lifestyle. Who doesn’t love a shiny new piece of tech?